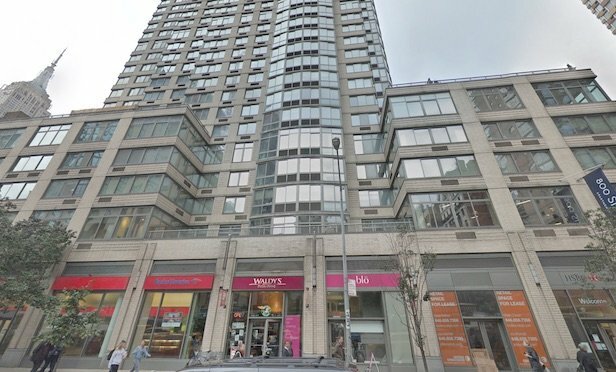 Greystar acquired the 266-unit residential building in Chelsea, as Sam Zell’s company continues to exit from West Side apartment rentals. The Archstone Chelsea at 800 Sixth Ave.
NEW YORK CITY—Equity Residential, the Chicago-based real estate investment firm founded by Sam Zell, sold its residential rental property called the Archstone Chelsea at 800 Sixth Ave. to Greystar for $240 million. The sale was first reported in The New York Post. The 36-story, 266-unit residential rental building is located between W. 27th and W. 28th streets.